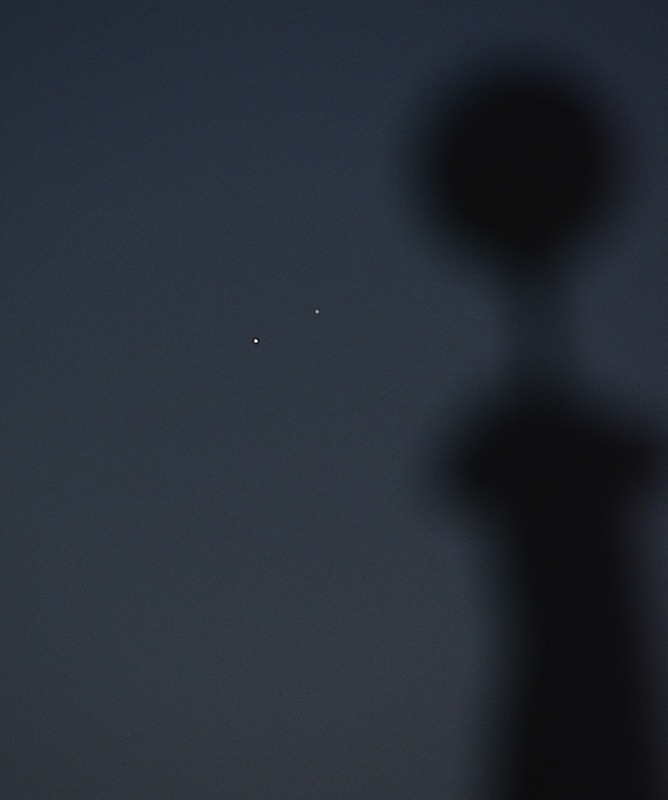 Venus: 232 million km (144 million miles); Jupiter: 939 million km (584 million miles); Flagpole: 0.007 km; 0.0043 miles; 23 feet! Nice effect with the flagpole. Great shot! I considered getting up for it, but I went to bed at 3am, and slept until 6:30, and it was light by then.
. . . but, now I’ve seen it anyway. Thanks. Thanks so much for capturing this! I think it is the closest they will be for a long time. Excellent shot, worth the early morning and fumbling! Thanks again, M, for sharing some of them with us!